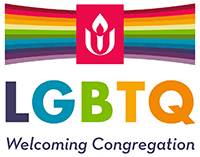 These remarks were delivered by the persons indicated at a special Sunday Service given at the Unitarian Universalist Church of Bowling Green, September 27, 2009. They provide a snapshot of specific activities and departments of church life. They represent only a part of the program. I will add additional remarks as I receive electronic copies.—J.G. The Adult Forum meets from 10 a.m. to 10:45 a.m. on Sunday, just before the Service. It has been going on now for about ten years. The Forum is best described I think as Adult Religious Exploration as well as a manifestation of the principle that we affirm: a free and responsible search for truth and meaning. The Forum is an opportunity for a sustained thinking and discussion about topics of interest and importance to Unitarian Universalists. It is one of the main venues of church life in which we can explore the several sources or traditions that Unitarian Universalism draws from. Look in the inside of the back cover of your order of service. You should find listed the six sources we draw from. We have discussed books and watched video lecture series on the major monotheist religions, earth-centered spirituality, and the major religions of Asia. We have read recently published books on the historical Jesus and the Origin of Satan, video lectures on the books of the Hebrew Bible and the New Testament, and a history of the idea of God that spans all major traditions. We have discussed major documents and issues faced by our Unitarian, universalist, Radical Reformation, and Transcendentalist predecessors. We have reflected on a lecture series on the sometimes rocky relationship between science and religion. We’ve considered a science-based version of the creation story that may provide a meaningful alternative to a literal reading of the first chapter of Genesis. Often our topics directly touch upon ethical controversies, as did our study of Sacred Choices, an exploration of liberal religious responses to issues of sexual morality in the world’s major traditions. We don’t ignore the problematic side of religion, and have spent a dozen or so sessions discussing Charles Kimball’s When Religion Becomes Evil: Five Warning Signs and John Shelby Spong’s Rescuing the Bible from Fundamentalism. Sometimes our topics have no obvious connection to religion, but to ethical and existential issues, such as the PBS series Race: Power of an Illusion, which we have run twice, about six years apart, to mostly different audiences, something that is worth doing because of the importance of the issues addressed. We are finishing a DVD lecture series Introduction to Judaism next week and will likely start a new series on the fascinating 19th century thinker Friedrich Nietzsche the week after. Please join us if you are able. Church leadership is not always a natural asset. It may be cultivated and nurtured through education, training and practice. Our church values Unitarian Universalist Association (UUA) and Heartland District (HUUD) opportunities for growth and experience and budgets funding to send our members to denominational events. Registration fees and partial expenses are included in our budget each year to send delegates to the UUA General Assembly and to the HUUD Spring Conference and up to 4 members receive full scholarships to Midwest Leadership School each July. Others attend religious education, finance, social action, and other HUUD and UUA workshops during the year within the district and in our church. Those of you who have not participated in these events have missed experiencing the joy and excitement in meeting and working with other UUs in other churches around the world. Bringing what you have learned and sharing that enthusiasm with us when you return benefits our beloved community. The future of our church depends upon each one of us taking a leadership role. Be a leader or become a leader. Take advantage of every opportunity within your area of interest enumerated by today’s speakers. Let this church nurture your growth with golden opportunities. Good morning, I’m the current chair of the Children’s and Youth Religious Exploration Committee. Our primary goal is to provide stimulating lessons and activities for our children and youth while their parents and families are participating in the service in our sanctuary. Our church and our Religious Exploration programs are something unique in this time and town. Most of us did not experience this openness of spirit and worship that we foster in our children. In our rooms we consider the vast array of world faiths and encourage study of the values that are helpful or hurtful to the world today. In our rooms the Earth and environment are raised up and placed front and center before the minds and hands of the future. In our rooms straight and gay are neither good nor bad, they are strands in the web. In our rooms we look at and encourage real life, daily applications of our UU principles. We are looking for more individuals who would be willing to give up their own worship from time to time in order to support this mission and our children. We would like to bring you in as a nursery aide or teacher’s aide and introduce you to our fantastic kids. We have a committed core group of teachers who will welcome you and put you to work! What you will take away from this is a wonder for young minds that see with clarity and honesty. An appreciation for how far these young people will go without being hindered by cultural biases and exclusive faiths. Thank you for considering the Religious Exploration program as a way to put your faith into action. Nine years ago, Jim and I were not affiliated with any church, after being runaway Presbyterians. We liked the liberal thinking of this church, but I joined this church because of the small group experiences that were initiated at that time –small groups, like Circle Suppers and Small Group Ministry. They foster a strong sense of community in this congregation, one group of 6–10 people at a time. Circle Suppers enable us to gather in one another’s homes with different people each time, break bread together, and share our stories. This is where we learn the similarities of our journeys, and appreciate the differences. It is a very rich experience. How many have attended one or more Circle Suppers? Small Group Ministry is a network of small groups that meet in the homes from September through May. It’s a place where we have an opportunity to grow spiritually, each of us on our own path, as we minister to one another. It’s a place where we build a strong sense of community by listening deeply to one another as we share our stories. It’s a place where we join together in a service project either for our church or for the larger community. How many have participated in the Small Group Ministry program? Both of these small-group experiences are open to members and friends alike at any time. If you would like to check them out to see if they are meaningful experiences for you, talk with Susan Ammons about Circle Suppers or myself about Small Group Ministry. “How wonderful it is that nobody need wait a single moment before starting to improve the world,” said Anne Frank. I found this quote on the first page of the UUA website. Unitarian Universalists throughout the world, the nation, and here in our own beloved community, have a proud legacy of activism. The Social Action Committee is where we put our values and principles to action. In the past, we have tried to answer calls from the UUA on becoming a peacemaking congregation, and now we promote ethical eating and environmental justice, as well as local calls to help the food banks, the refugees, and at-risk youth. Standing on the side of love, we welcome and support all those who struggle everyday for equal rights, the GLBT community, minorities, and immigrants. To strengthen our voice, we promote partnerships with like-minded groups such as Greentoppers, and Kentuckians for the Commonwealth. We research and select worthy charities for our special Third Sunday Collection. At present, we are reading and discussing the book The Prophetic Imperative by Richard Gilbert to gain better direction for the committee and the congregation in the area of Social Justice. This is an awesome responsibility for just a handful of individuals. Don’t wait a single moment, join us the last Thursday of each month. As a lay-led church for over 45 years, we have had many opportunities to give of our time and talents to create a Beloved Community that meets the needs of our membership and guests. I have found that the Sunday Services Committee, of which I am now the co-chair along with Katrina, to be a particularly rewarding one. Our task has been to plan each of the 52 Sunday morning services. What a challenge! We have devoted our selves to planning meaningful, thought-provoking services that provide opportunities for both intellectual and spiritual growth. One of the tenets of our faith community is that you do not have to check your brains in at the door. You hear a message, a thought, and idea and you will have the opportunity to respond to it, internalize it, use it on your spiritual journey as best it fits. To accomplish this we carefully select inspirational speakers to give the sermon or the presentation. In the past that has meant having one of our members on the dais, or someone from the community, or a professional minister. Things are much simpler for us now that we have been fortunate enough to attract the Rev. Peter Connolly as our full-time minister. He will be in the pulpit about 30 times a year. This leaves us with 22 Services to plan completely and 52 for which we will choose the music, the keyboard artist, the song leader, the readings, the chalice lighter someone to read the opening and closing words, and of course a moderator such as Katrina. In making these choices our goal is to create as seamless a service as is possible, and one that flows smoothly, that follows the spirit of the message or sermon of the day. To be successful in meeting these goals, the service must be well planned, and coordinated. That is the role of the Sunday Services Committee. We are always looking for new faces. For example, if you have a musical talent, we are interested in you. If you can sing or play a musical instrument please let us know. If you would like to offer one of the readings on a Sunday morning, we would love to have you do it. We continue to look for lay participation, that is part of the UU tradition. Please talk to me or Katrina if you would like to help or if you have suggestions for a Sunday Morning Service. The work of the Stewardship Committee focuses on the annual pledge drive but WAIT! WAIT! KEEP READING, because you’d be surprised how much fun you can have on this committee! Far from the “arm-twisting, wallet-wringing” exercise you are envisioning, the goal of the annual pledge drive is simple: All of us get a chance to hold conversations with each other, one-to-one. Meeting each other over a cup of coffee, or a glass of wine, becomes an opportunity for reflection, evaluation and finally, well yes, putting a dollar value on what the church means to us, individually and collectively. Who thrives on the stewardship committee? Those who enjoy seeing short-term projects emerge from vision to completion – in a relatively short period of time. Creative ideas, passion, and people who like people are especially appreciated. The Youth Group, which meets from 12:15 to 1:00 p.m. every other week, is made up of young people between the ages of 12 and 18. We are self-directed and involved in a variety of activities, such as support of fair-trade coffee and chocolate. The Youth Group coordinates a popular annual “Coffee House” talent show, a fundraiser open to the community, offering fair-trade products from the group’s inventory. Some of these funds are sent to worthy beneficiaries. Plans for the future involve regional and national youth conferences, monthly volunteer projects, movie nights, and much, much more! The group is advised by parents of Youth Group members, but leadership is happily and responsibly assumed by the youth themselves. Check out their Web site: uuyouth.weebly.com/ Contact persons: Alyssa Phelps or Laura Bain-Selbo.